SACRAMENTO, Calif. /California Newswire/ — In an effort to crack down on the manufacturing and sale of illicit drugs near schools, Senator Tony Mendoza (D-Artesia) a former elementary school teacher, introduced SB 212 on Thursday, which strengthens the punishment for drug trafficking and manufacturing near schools. The bill would expand the Juvenile Drug Trafficking & School Yard Act of 1988 to include private property. The Act is intended to protect children when drug crimes take place near schools. The courts have interpreted current law to preclude a sentencing enhancement when the illicit act takes place on private property, no matter how close it is to a public or private school. For example, last year, a California Appellate Court affirmed a Santa Clara trial court decision that struck down an enhancement charge against three co-defendants who were charged with manufacturing methamphetamine in a shed in the backyard of a San Jose home located across the street from an elementary school, because it took place on private property. The court found that the shed did not constitute a “’public area” as defined in California Health and Safety Code Section 11353.6(b) under the Juvenile Drug Trafficking & School Yard Act of 1998. 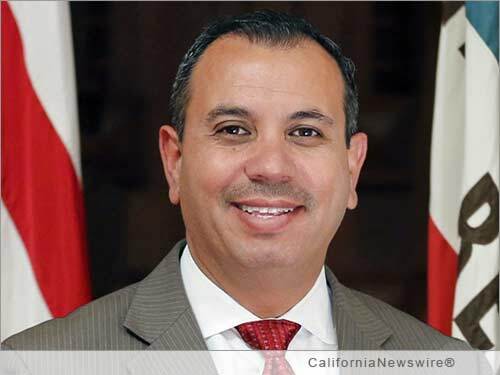 “We need to ensure that our children are safe in the classroom and on the school playground from the threat posed by the manufacturing and sale of illicit drugs,” said Senator Tony Mendoza. Specifically, SB 212 strengthens the Juvenile Drug Trafficking & School Yard Act of 1988 by allowing a judge to impose an additional sentence of three, four, or five years in prison for individuals who are convicted of manufacturing or trafficking controlled substances on public or private property within 1,000 feet of a private or public elementary, middle, high school or vocational school. Additionally, the bill adds preschools to the list of protected schools. “This enhancement exists because the Legislature has made a commitment to keeping drugs out of our schools, and protecting students and teachers from the dangers that controlled substance labs present. Unfortunately, in order to use the enhancement, prosecutors have to hope that the manufacturing is taking place in a public area. In reality, that’s not where these labs operate. They’re run out of an apartment or a shed, and they jeopardize the physical safety of those nearby. We’re excited to work with Senator Mendoza to ensure that the laws on the books in California reflect the way that criminal enterprises currently operate,” said Sean Hoffman, Director of Legislation, California District Attorneys Association. The manufacturing and sale of illicit drugs poses significant risks to those living in the areas surrounding the locations where these crimes actually take place. For example, children walking to and from schools can easily come in contact with individuals conducting a drug sale that can sometimes turn violent or make these drugs readily available to them. Additionally, in the past several years, federal and state law enforcement agencies have discovered illicit drug labs on private and public property in close proximity to schools throughout the state. Examples include the discovery of a crystal methamphetamine lab in a home in San Jose, near San Jose High School and a drug lab at a Victorville daycare center capable of manufacturing “wax”, a highly concentrated form of marijuana. These clandestine labs are extremely dangerous and the chemicals used in the manufacturing process create a substantial risk of explosions, fires, chemical burns, and toxic fume inhalation from the off-gassing of chemicals which extend well beyond the walls of the lab itself, putting neighbors, children and teachers in harm’s way. “The locations of these labs in residential neighborhoods and near schools are unacceptable. We need to provide law enforcement and our criminal justice system all the appropriate tools to make our communities safe,” added Mendoza.